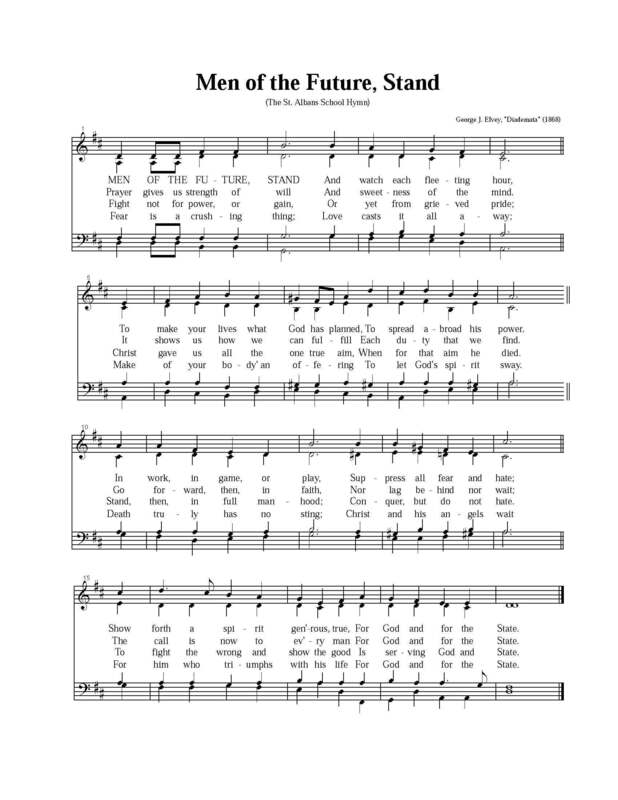 The St. Albans hymn, “Men of the Future, Stand,” is adopted from “Diademata,” an 1868 composition by George J. Elvey. Edith Gray Church, wife of the school’s second headmaster, is believed to have penned the lyrics to accompany the composition. Listen to the St. Albans School hymn, “Men of the Future, Stand,” sung by the St. Albans Chorale. After the last diploma was handed out at Commencement, members of the Class of 2018 joined together to sing Men of the Future, Stand in a moving tribute to St. Albans School.